"I'm like the curious cat. You know what they say --- satisfaction brought him back." Every cop has that one case that stays with them throughout their career. For retired detective Bill Hodges, his case remains unsolved. A lunatic in a Mercedes drove through a crowd of people who were lined up outside an auditorium for a job fair. Eight people, including a mother and her infant, were killed, and many others were injured. Despite his best efforts, Hodges was never able to make any headway on the case. Now that he's retired, Hodges life is on an increasingly downward spiral. His wife divorced him years ago, his daughter refuses to speak to him, and he struggles to find anything useful to occupy his time. Hodges normally spends his days sitting at home watching T.V. and playing with his gun. The more he wallows in the boredom and sadness of retirement, the more enticed he is to turn that gun on himself. But then he gets a letter in the mail from a person claiming to be behind the Mercedes attack. Reignited by the possibility of finally catching the murderer, Hodges begins an incognito investigation. Brady Hartsfield has many issues of his own. He is a technology wizard, but his job doing house call tech support for a local electronics store does little to engage his true abilities. Instead, Hartsfield uses his heightened intellect to psychologically manipulate his customers and co-workers. He lives at home with his mother, an alcoholic who emotionally abused him as a child. The single event in his life that has given him the most joy and satisfaction is the day he stole a Mercedes and drove it into a crowd of innocent people. The high from that event is beginning to wane. Now Hartsfield is determined to do something even more violent and malicious to satiate his new found hunger. Mr. Mercedes is a cat and mouse thriller by one of the most skillful and prolific authors working today. King devotes equal attention to Bill Hodges as to the man he is hunting. The end result is two characters who are both flawed and well developed. These kinds of mysteries can be made or broken by the quality of the bad guy. By making Hartsfield as well-rounded as his protagonist, King crafts one of the most intriguing and evil villains that I've ever read. Besides a graphically grotesque and emotionally horrifying death scene, King leaves most of his horror roots out of this story. 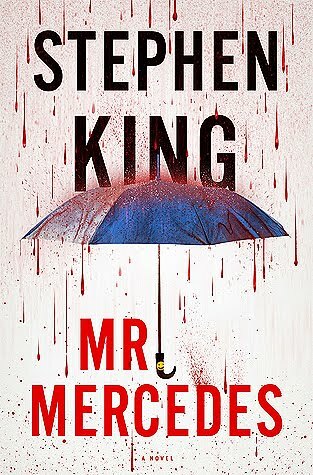 Instead, Mr. Mercedes is a perfectly paced crime novel inhabited by engaging characters that serves as the start to what is sure to be a fantastic trilogy. In the past couple of years, I've gained a new appreciation for short story collections. The quick narratives make for easy reads during my brief reprieves from the hustle and bustle of life. They also are the perfect cure for a reading slump. It is much easier to finish a short story than a full-blown novel. As I've delved into more short stories, I am consistently pleased with the level of detail and development that some of them achieve. Beyond the satisfaction that comes with reading these short works, short stories have introduced me to new authors. From acclaimed Pulitzer winners like Adam Johnson to indie authors like Eric Shonkwiler, short stories have turned me into a fan of authors who I would have otherwise never read. 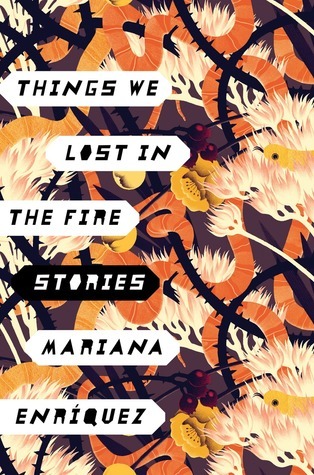 After reading Things We Lost in the Fire, I'm excited to add Mariana Enriquez to that list. Enriquez draws upon the history and legends of Argentina to compose a collection of stories that balance on the edge of myth and reality. In The Inn, my favorite story of the group, two girls are struggling to come to terms with their sexual orientation. Beyond the difficulties that their relationship brings, one of the girls is facing a new challenge at home. Her father was a model employee as a tour guide for a local inn. That's why the girl finds it so hard to believe that the owner fired him. Thirsting for revenge, the two girls decide to break into the inn and enact a plan that will have long-lasting implications on the establishment. Unbeknownst to them, more sinister entities are at play. I really enjoy the way that Enriquez combines supernatural elements into these portraits of Argentinian life. The people in her stories are all facing different challenges that are only made more difficult by the fact that they live in the slums. The problems that the characters face, crumbling relationships, poverty, disability, all touch upon universal themes that are easy to relate to. By giving these stories a tinge of fantasy, Enriquez adds a sense of urgency and suspense to what would have otherwise been rather pedestrian tales. There is no denying the unique voice and place that fill the stories in Things We Lost in the Fire. With this collection, Mariana Enriquez makes a bold statement about who she is as an author and the kind of writing we can expect from her in the future. As a book blogger and reviewer, I receive countless requests from authors and publishers to read their latest offerings. These requests flood my inbox with such volume that it is impossible read every book that I'm asked to. My "to be read" pile is already unmanageable! Every once in a while, I pass on a request that I end up regretting. I'm still kicking myself for not jumping at an advanced copy of Colson Whitehead's The Underground Railroad. 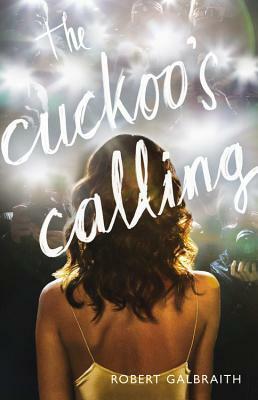 Now that I've read The Cuckoo's Calling, I can add it to my list of regrettable passes. I remember reading the summary and request for the debut novel by Robert Galbraith. I had so many books on my schedule that I couldn't justify adding one more to the list. I didn't think about The Cuckoo's Calling again until the news broke that Robert Galbraith was actually a pseudonym for the famed author J.K. Rowling. I instantly added the novel to my languishing pile of books to read. The novel follows two people who are searching for their place in society. Cormoran Strike lost his leg in Afghanistan. In coming to terms with his physical condition and the stress of adjusting to civilian life, he ended up losing the woman he loved as well. Now he lives out of the office where his fledging private investigation business is beginning to look like another failure in his life. Robin is searching for a career. With her impending marriage, she is close to building a perfect life. While she continues the job hunt, Robin takes on various duties from a local temp agency. She is beginning her first day as a secretary for private investigator Cormoran Strike when John Bristow enters the office. Bristow's sister was the famous model Lula Landry who tragically died in what has been ruled a suicide. Bristow suspects foul play and wants to hire Strike to investigate. Desperate for any way to keep his struggling business afloat, Strike agrees to investigate the mysterious details surrounding the superstar's death. The Cuckoo's Calling is a refreshingly straightforward murder mystery. Rowling allows the details of the characters and the investigation unfold at a natural pace without relying on any narrative tricks for suspense. Instead, the thrill of reading the novel lies in the way the protagonists battle their personal demons while dealing with the family drama that surrounds Landry's death. True to form, Rowling fills the novel with the kind of detailed descriptions and tangents that readers either appreciate or loath. I feel like these details ultimately add to the overall story, even if the pace of the action is occasionally sacrificed. The Cuckoo's Calling is a fantastic mystery that kept me guessing until the very end. With this novel, Rowling proves her flexibility as an author and provides a start to what promises to be a great detective series. "And saving that one life now is akin to saving the world." How do we reconcile the horrors of the Holocaust? Countless men, women, and children were senselessly murdered during the years of World War II. Since the horrifying events of those years, authors have done their parts to make sure we never forget. There are, of course, the real-life accounts like the Diary of Anne Frank and the hauntingly poignant writings of the late Elie Wiesel. Many other authors have turned to fiction to portray the events of those years. 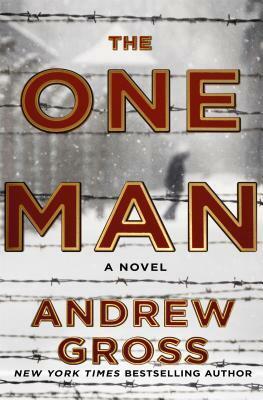 In his latest novel, The One Man, author Andrew Gross takes a departure from his usual thrillers to add his voice to those who have preceded him. Gross decides to take on the horrors of the Holocaust with a historical fiction novel that graphically displays the injustices of the genocide while celebrating the heroism of the brave few who defied it. The year is 1944 and physicist Alfred Mendel has finally succumbed to the same fate of his friends and neighbors before him. Mendel and his entire family have been rounded up by the Germans, stripped of their possessions, and shipped to Auschwitz. He is quickly separated from his family and forced to live and work under the brutal conditions of the camp. Little do the Nazis know the true power that Alfred holds. He is one of only two people in the world with the scientific knowledge needed to produce a weapon of unspeakable proportions. He alone holds the power that could mean potential victory in this war. Nathan Blum narrowly escaped the clutches of the Germans when he fled from the confines of a Polish ghetto. As he sought refuge in America, word reached him that his family was murdered in cold blood on the streets of that same ghetto. Since that time, Nathan has worked a desk job at a U.S. intelligence agency. He is determined to make amends with the killing of his family, and the U.S. government may have the perfect way. Nathan is fluent in both German and Polish. He has the undeniable features that match those who are prisoners in the camps. And most importantly, he has a deep hatred for the Nazi's and everything they stand for. All of these characteristics make Blum an ideal candidate to take on one of the most dangerous operations ever conceived. He will sneak into the one place he as done everything in his power to avoid, and he will rescue the one man who can change the course of the war. The One Man sees Andrew Gross shift gears to deliver one of the most important novels of his career. The suspense practically writes itself as Gross tells the story of a man breaking into the one place that so many long to leave. The mission is do or die. If Nathan achieves his goal, it has the potential to end the war and save the lives of those he left behind. If he fails, he becomes just another innocent life lost to the evil ideologies of the German Nazis. It is a given at this point that Gross delivers the break-neck pacing of a seasoned thriller writer. What sets The One Man apart from his previous endeavors is the depth of the characters and the delicacy with which he deals with the subject matter. There is no shortage of writings that detail the horrendous treatment of the prisoners in the concentration camps. While Gross provides quick glimpses into these horrors, he smartly avoids a retread of those difficult reads. Instead, he focuses the majority of his novel on the men and women who inhabited the camp. By granting his characters the ability to express their genuine thoughts and emotions and giving them the necessary time to develop, Gross provides readers with a larger understanding of the complexities of each human life involved in this incredible moment in history. Gross frames these remarkable character revelations through his well-trodden thriller roots. This makes the uncomfortable realities of the situation a bit easier to digest. The One Man exceeds my highest expectations by delivering an unputdownable novel that manages to both thrill and inspire. Andrew Gross delivers the most mature novel of his career, a novel that will be very hard to top.